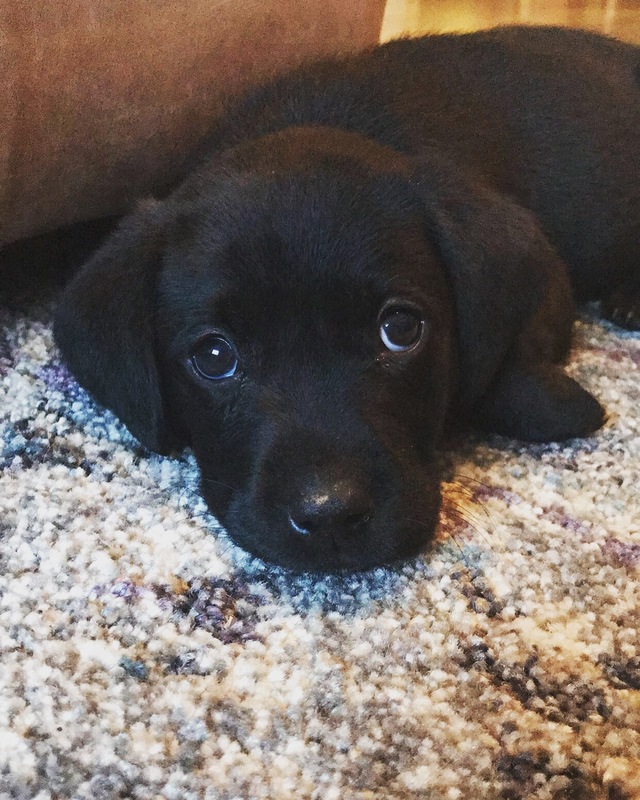 As some of you may know due to my obsessive need to take photos of him, my family recently got a puppy! We have always had dogs practically my whole life, but after loosing our beloved Boxer Lexie last November to cancer, we were unsure as to whether we could have another one. As fellow dog owners will know, they become such a much loved and precious member of the family, and when you lose them it’s heartbreaking. For this reason my mum in particular was not completely sold on having another, she felt like it would be best at the point to not have to worry about a dog. While we were not sure if we would have another dog we always talked about it. Me, my sister and my dad are HUGE dog people and to be honest, living without one was horrible. You form such a bond and an attachment with dogs that when you don’t have it anymore it’s hard. Although we had my grandads dog, it wasn’t the same as coming home to it everyday. 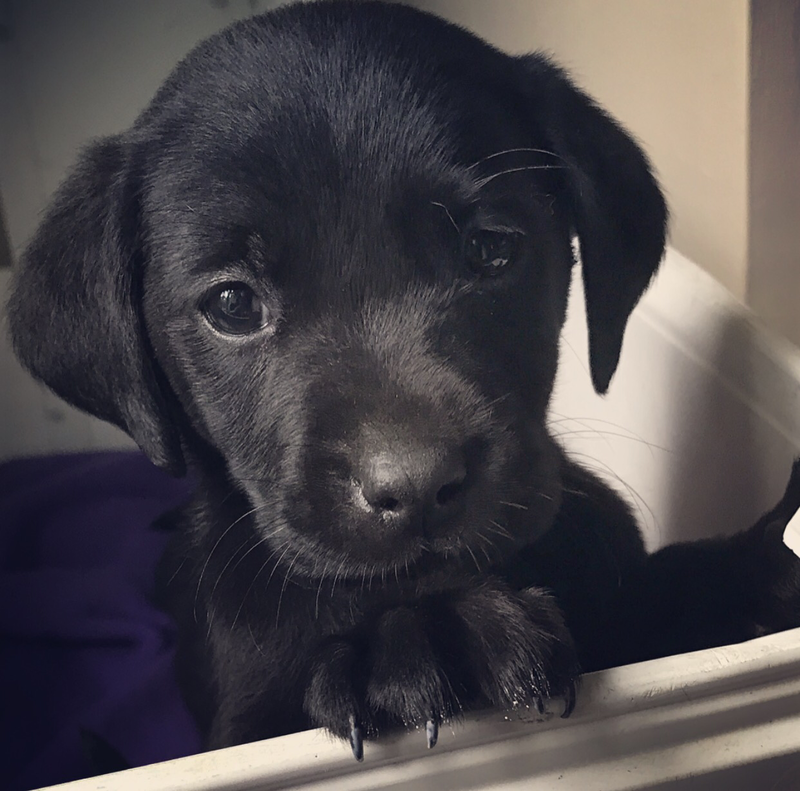 My sister recently started working at our local vets, and a farmer bought in 6 black Labrador puppies to be micro-chipped. He told my sister that they were all for sale and dad asked her to get the mans contact details. 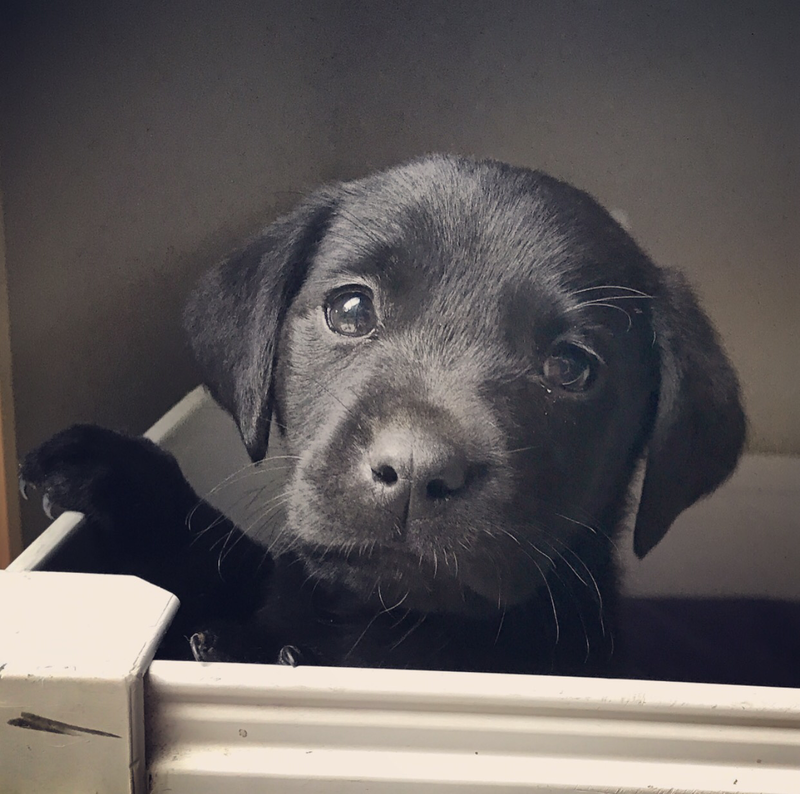 After much deliberation and discussions, mum finally gave in and on Sunday 24th September we went to go and view the pups. There were three left, two boys and one girl. We had already decided we wanted a little boy, so it was just a case of choosing which one out of the two! One was really fluffy and a bit of chunky monkey, the other had a slightly more innocent looking face and a smoother coat so we chose him! And we’re absolutely over the moon with him. We brought him home the day after viewing him as he was already seven weeks old and weaned ready to go. 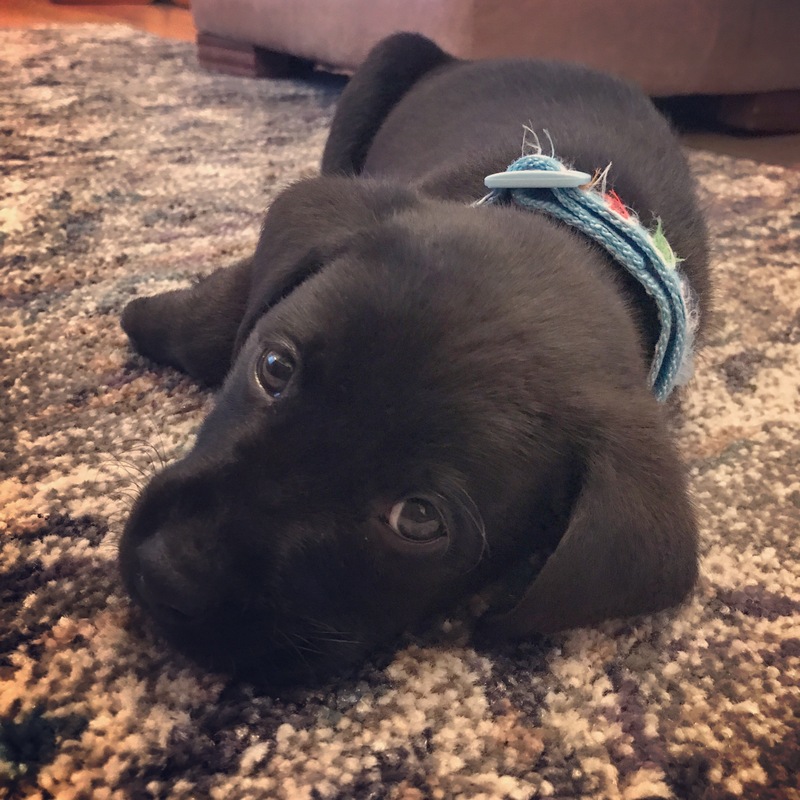 It’s been a very long time since we had a puppy in the house, and to be honest I completely forgot how much it’s like having a real baby! We’re constantly having to keep an eye on him, follow him everywhere, and take him out for the loo! He eats like a little piglet and sleeps a lot just like real babies do, keeps us up at night (he’s getting better at sleeping at night) and he is absolutely GORGEOUS. I absolutely can’t get enough of him. He’s still only seven weeks old, and needs his jabs before we can take him out for walks and meet other dogs. I am so excited for Autumn and Winter walks with my new little buddy, and while I love how tiny he is at the moment, I can’t wait to see what he looks like when he’s grown up! I think he’s going be such a handsome boy. Hope you all enjoyed meeting our new baby Albus, I’m sure you’ll be seeing much more of him!! Oh he’s beautiful! 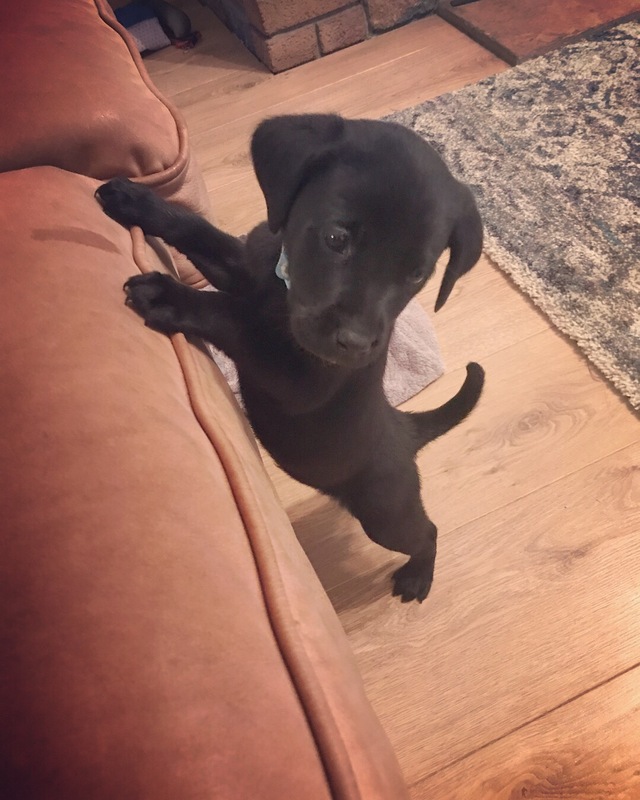 My parents just got a Labrador pup too, although I don’t live at home so it’s not quite as exciting! Thank you, he really is!! Aww I just love labs. They’ve always been our favourite breed, mum and dad had one before I was born! We’re in love with him, as I’m sure you all are with your parents dog!